By: Joshua Randazzo, guest writer. Whoosh! A red blur surrounded by lightning flies past you. You turn in awe, wondering what it could have been. But this isn’t real life, sadly. 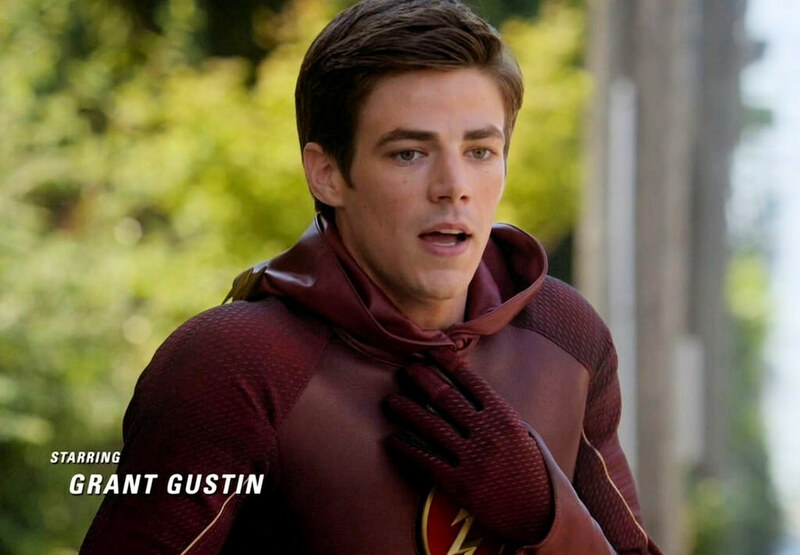 In a new TV show called “The Flash,” Grant Gustin stars as Barry Allen, A. K. A., The Flash. After being struck by lightning in a particle accelerator explosion caused by Harrison Wells, played by Tom Cavanagh, Allen falls into a coma for 9 months. Upon waking at the notorious S.T.A.R Labs, which made the accelerator, Allen finds himself surrounded by Harrison Wells, Cisco Ramon (Carlos Valdes) and Caitlin Snow (Danielle Panabaker). Allen also finds that he has the ability to run at super speeds. This is really a 5-star show, because it has a great structure and an excellent plot line. It also follows the plot line of the old Flash TV show. People would argue that today’s is better because the cinematography is better. The cinematography is excellent, and the special effects of Barry running is really great. The actors were chosen very well for the show, they all know how to show the proper emotion for the characters. The superhero/villain costumes are also really well designed. Like Leonard Snart/Captain Cold (Wentworth Miller) wears a large winter coat, even though it’s already warm. The Flash’s costume is especially great. The normal people costumes are also really cool, like how Cisco wears graphic T-shirts. Barry Allen hasn’t had the best life ever though. His mom was killed by “The Man in Yellow” when he was 9, and his father, John Wesley Shipp, was convicted for it. For the last 15 years, Allen has been trying to solve the case. Allen even became CSI. After his dad was convicted, Allen went to live with Detective Joe West (Jesse L. Martin) and Iris West (Candice Patton) who is also Allen’s best friend. “The Flash” also ties in with the show “Arrow,” which stars Stephen Amell as Oliver Queen A. K. A. The Green Arrow. I think that this is a great show that any superhero nostalgia fan should watch for either enjoyment or to critique.